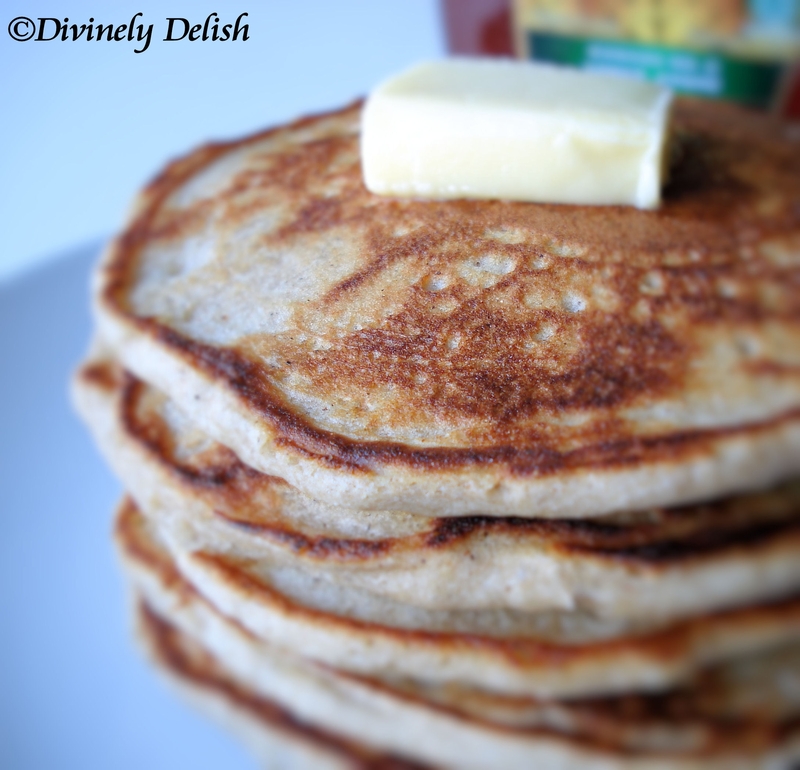 I usually make buttermilk pancakes, but since I had a pack of buckwheat flour, I decided to make buckwheat pancakes instead. My parents were visiting recently, and my mum, just back from Asia, was really craving a western-style breakfast. So I thought these pancakes would be the perfect accompaniment to a hearty meal of bacon and eggs. Buckwheat is not a grain and, despite its name, is not related to wheat. It’s gluten-free, high in protein and fibre, and has a host of other nutritional benefits. I came across recipes that called for a combination of all-purpose and buckwheat flours, but I wanted to try a recipe using 100% buckwheat flour. 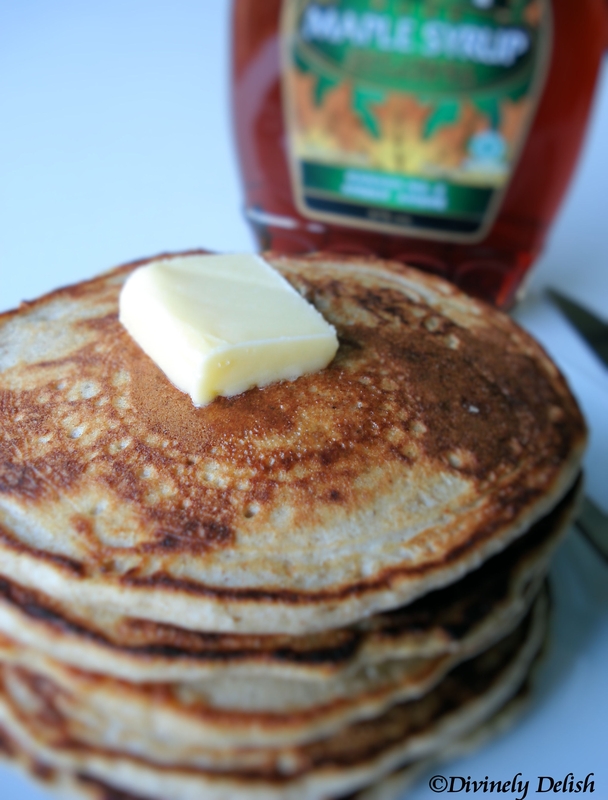 While these are not as fluffy as regular pancakes, they looked and tasted great, and are a whole lot healthier! 1) Preheat lightly greased electric skillet to 375F. 2) Mix dry ingredients together. 3) Add egg, buttermilk and butter, mixing well after each addition. 4) Pour 1/4 cup batter onto hot griddle. 5) Cook until bubbles break on surface, then turn and cook an additional 1 to 1-1/2 minutes or until browned.